Melt butter in saucepan. Stir in and heat berries, sugar and lemon juice. When juice of the aronia berries flows, stir in flour. Cool to room temperature. Meanwhile, line pie pan with crust. Pour in cooled mixture. Put on top crust; flute; slit. To catch juice, put foil on pie skirt or cookie sheet. 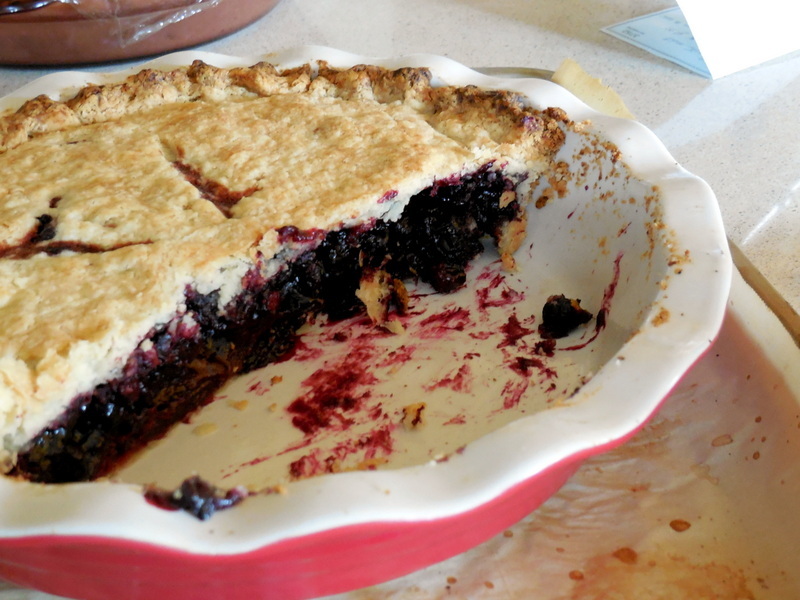 Shape upward around pie pan without covering pie. Bake at 220°C until browned, about 40 to 45 minutes. Cool. Refrigerate overnight. The filling should set up nicely.